Last week, I've shared with you tips on how to apply blush so this week I think it's fitting to do a review on a blusher. 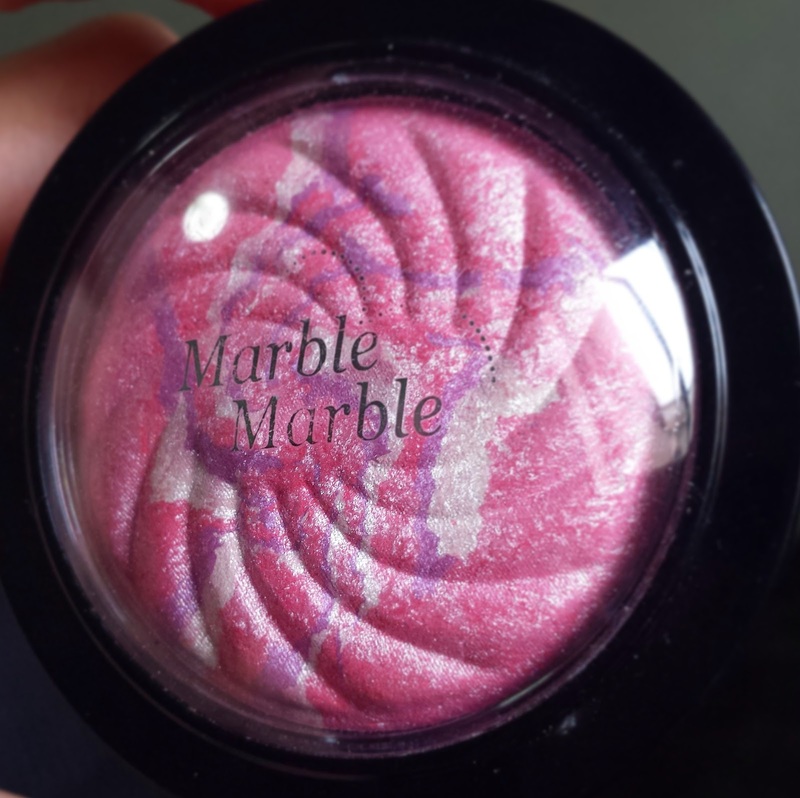 The blusher I'm going to do a review with is from Etude House called Marble Marble. 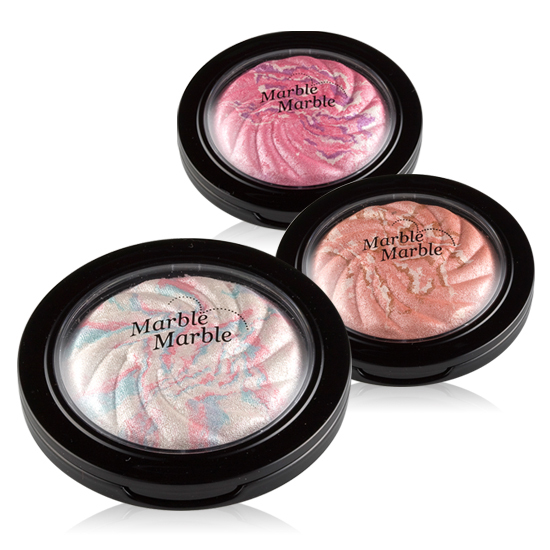 Marble Marble is available in three shades: Pink Holic, Ultra Super Hue and Rose Marble Peach. Unfortunately from what I've read online this line has already been discontinued. The shade I'm going to do a review with is #2 Pink Holic. I bought this blusher from a bazaar at Raffles Place MRT basement (to clarify this is in Singapore) last year. I couldn't resist since it was on sale. I bought it for 5 SGD which I think is a good bargain. Cheap. As I bought it on sale at a bazaar for 5 SGD. Cute and sturdy packaging not to mention that it's also travel friendly. Lasts all day. No need for retouch. One container lasts you a lifetime. Okay, perhaps I'm exaggerating here. I like how the blusher is compressed and compactly packaged in the container. It's not messy to apply the blusher compared to loose ones. Not sold in Etude House stores anymore as it has been discontinued. Too much shimmer found on the blusher compared to it's color payoff. If you like shimmers then this blusher is for you. I have trouble applying this blusher as I've mentioned earlier it takes time for the color to come out. I have to swipe it on my cheeks several times which could also mean layers of shimmer. 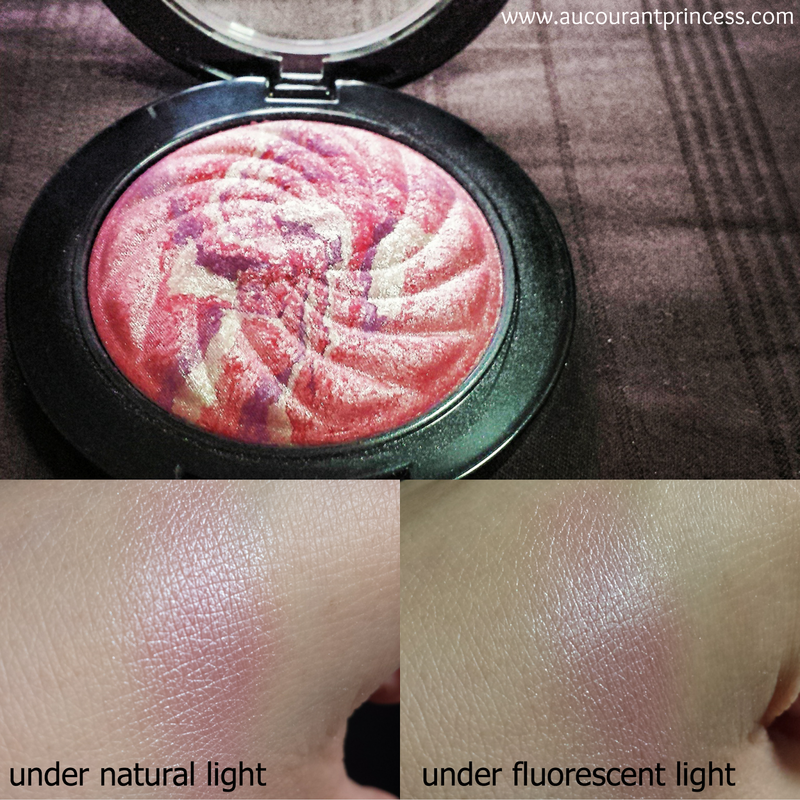 Here's a swatch under natural light and under fluorescent light. Note: I have to swipe it several times just for the color to come out. To be honest, I prefer matte blushers or makeup in general. This product is just too shimmery which I think is not good for my combination skin add the fact that I live in a hot and humid country. Ahahah! Imagine how shiny your face can get from too much shimmer, facial oils and hot weather. Have you tried this blusher before? Let me know of your experience in the comment section below. colour looks so lush & dreamy! This blush looks so pretty in the pan. Love the marbling.